Salem and Rios - brothers by spirit and blood, though only few people know their real names. Usually they are called the Alpha and Bravo - the soldiers of a special unit, on a missions around the world. 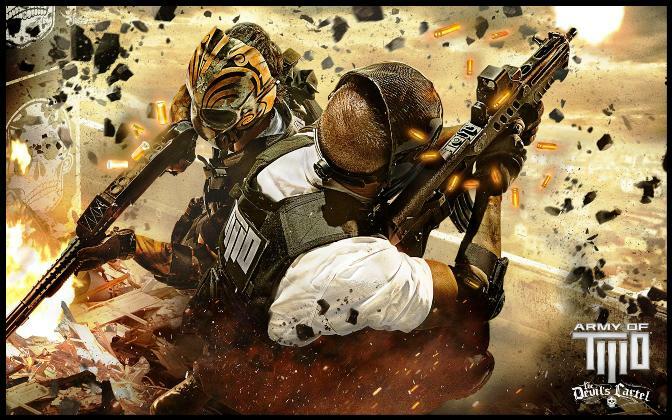 In Army of Two: The Devil's Cartel they are their own army, companions and assistants. This time they went to Mexico tobegin war with merchants of death. Among others the most important and largest is "La Guadaña", destroying that they will save more than a thousand lives. Despite all the coolness, sometimes they still need help, but such "reinforcements" they obviously didn’t awaited. And what could be better than a good shooting? Of course the girl with a gun! Army of Two: The Devil's Cartel release is scheduled for early spring, on 26 March this year. For details, see the trailer below.